2017-10-04 - Mouseaholics reign supreme! 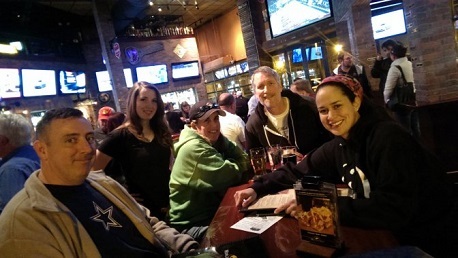 Many new friends this evening as newcomers, Thrive Me Crazy put twelve of their best members up against our regulars here at World of Beer in South Arlington. This was to no avail as the Mouseaholics took first prize both games with a second placing by William Shatnerface and Punching Miss Daisy. It's finally starting to cool off as teams begin to migrate out to the patio. Let's see how long it lasts! Have a wonderful evening and week until I return next week! As always, it was my pleasure.